Our objective in developing the next MXZ X was "even more fun and performance." 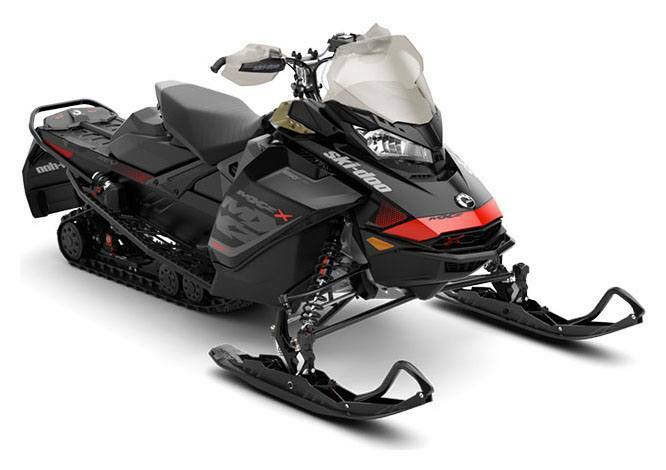 It's REV Gen4 platform and Rotax 850 E-TEC respond to your every input, your every move - so you get the most responsive, precise, powerful and fun trail sled ever. RAS 3 FRONT SUSPENSION: Similar geometry and design to the stable and precise RAS 2, optimized for the REV Gen4 platform with 1 in./25mm added suspension stroke and .7 lbs (0.3 kg) reduced weight vs. RAS 2.